This continues to be an exciting time for Ports-to-Plains. In the Texas Legislature Rep. Dustin Burrows has filed House Bill 869, and its companion bill Senate Bill 1034 filed by Sen. Charles Perry, would direct TxDOT to conduct a full feasibility study on extending Interstate 27 to Laredo. Ports-to-Plains is an active participant in the public outreach section of the Texas Freight Mobility Plan revisions that are currently underway. And our staff visit to Washington, DC shows that the excitement is carrying over to our federal delegation. The members of congress and staff that we met with were very positive about our message of improving transportation infrastructure, and supporting the trade that is vital to our region’s economic success. Thanks to the broad support from our Ports-to-Plains members and supporters, we see momentum building for continued success. You can still continue to make your voice heard. When your legislators are in town be sure to tell them you support Ports-to-Plains and the extension on Interstate 27. 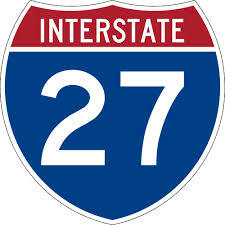 You can also still sign on to our letter supporting the extension of I-27 at our website portstoplains.com. An additional cost saving option is associated with the primarily east-west, recently designated, Interstate 14 which includes a proposed segment that overlaps the Ports-to-Plains Corridor between Midland-Odessa and San Angelo, presenting an opportunity for that segment to be jointly designated as Interstate 14 and Interstate 27. 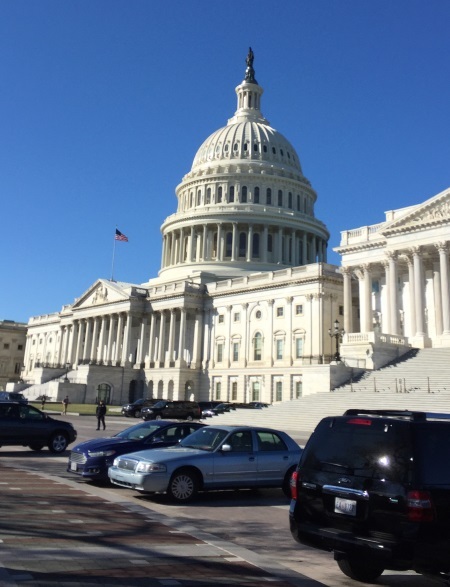 Last week five persons representating Ports-to-Plains Alliance met with eighteen (18) U.S. House of Representatives Offices and fourteen (14) U.S. Senate Offices in preparation for the April 24-28th Port-to-Plains Alliance Fly-in. 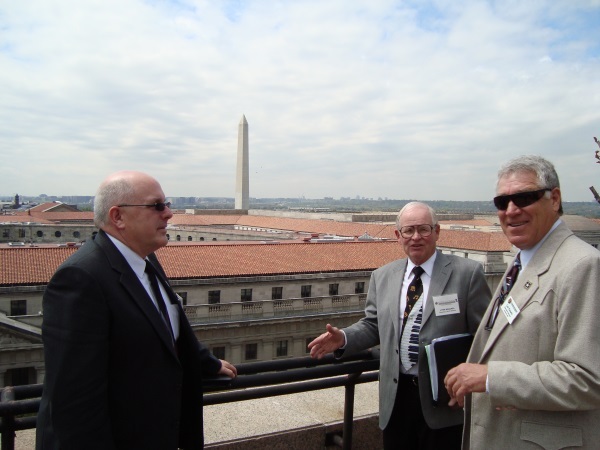 Michael Reeves, President; Duffy Hinkle, Vice President of Membership and Marketing; and Joe Kiely, Vice President of Operations represented Ports-to-Plains. Cal Klewin, Executive Director represented the Theodore Roosevelt Expressway and Deb Cottier, Director, represented the Heartland Expressway. As you can see from the listing below and the downloadable document the emphasis was on the needs of rural transportation infrastructure. The message to work towards solutions that address the Highway Trust Fund insolvency together with a significant infrastructure investment plan that extends beyond private dollars were well received by our federal delegations. Additionally the importance, especially for our agriculture economies, in approaching trade agreements was equally well received. The federal delagation in Texas also received an update on the efforts to expand Interstate 27. Having your voice with us in April will strengthen that messaging. President Trump made infrastructure a priority before the election. As Trade and Trade Agreements come before Congress, please carefully evaluate the impact on U.S. exporters. The Port of Wild Horse Business Case, undertaken in collaboration with parties on both sides of the Canada-U.S. border, concludes a positive case exists for making service improvements at the crossing, including extended hours of operation. allow commercial transport seven days a week (currently no commercial transport is allowed on weekends). Additionally, the report recommends Canadian Port of Wild Horse operations be upgraded to offer full Electronic Data Interchange (EDI) equivalency to match the existing Automated Commercial Environment (ACE) available at the United States Port of Wild Horse. Finding a solution for a long-term funding solution during this legislative session is of significant importance to rural Colorado and the district you represent. The state highway system in rural areas of the state are the most at risk. While urban areas have significant needs in terms of congestion, these areas also have tools including Public-Private Partnerships and Regional Transportation Authorities but these tools do not provide additional funding to maintain the state highway system that extends through the rural areas of Colorado. Without a solution, the urban areas will approach their local taxpayers to create new revenues using these tools and the opportunity to address the statewide system will be lost for years into the future. 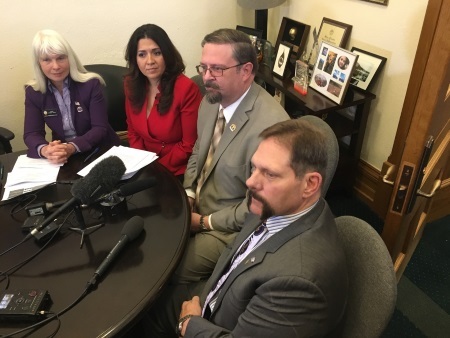 Legislative leaders on Thursday called a transportation funding plan that includes a sales tax increase “courageous” given potential blowback from voters and anti-tax groups. Senate Republican leadership stands directly in the crosshairs of conservative groups like Americans For Prosperity by backing the proposal. House Bill 1242 calls for a 0.62 percent sales tax increase on top of the state’s 2.9 percent existing levy in order to generate about $677 million per year for transportation projects. It would take voter approval. But Senate President Kevin Grantham, R-Canon City, is standing strong in the face of opposition. He is under no illusions. Grantham is co-sponsoring the bill with House Speaker Crisanta Duran, D-Denver. “This is going to be difficult for our side. There’s no secret about that, this is a difficult issue for us,” the president continued. House Republicans expressed disappointment that they were not brought into conversations. “A $677 million dollar tax increase is not the solution to Colorado’s problems and I will aggressively oppose the passage of this bill,” said House Republican Leader Patrick Neville of Castle Rock. 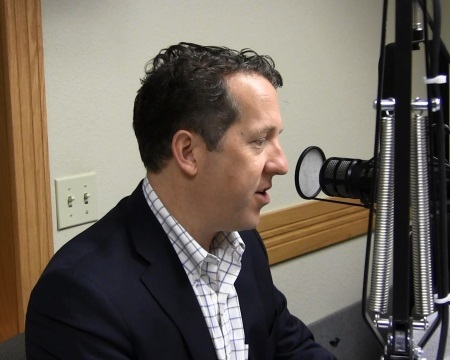 (Nebraska) Third District Congressman Adrian Smith says President Trump’s dislike of multi-lateral trade agreements cannot result in America losing its share of world markets while new bi-lateral agreements are being negotiated. Smith told KNEB News Friday other countries like Australia are ready to step in where the United States is backing off if new bi-lateral agreements are not negotiated swiftly . Smith says countries like Japan should be a high priority. He emphasized the Trans Pacific Partnership had a 40% reduction in the Japanese tariff on U.S. beef. Smith says he is working to make sure whatever bi-lateral agreement President Trump negotiates also has a reduction in the tariff. Smith says he has also told trade officials to be careful in their renegotiation of the NAFTA agreement because it has benefited corn producers, including an important market in Mexico.